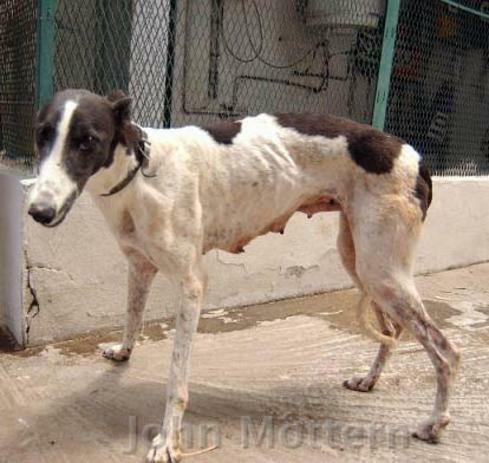 Since greyhound racing has been significantly reduced in the United States, The American European Greyhound Alliance, Inc.’s (AEGA) focus is on the international repercussions for greyhounds in other parts of the world where there is little monitoring of animal welfare. The American-European Greyhound Alliance, Inc. is a non-profit corporation dedicated solely to the welfare of Greyhounds in the United States and abroad. Your generosity will help our ongoing efforts for education and spotlighting important issues around the world through the media. Contact Louise Coleman with any questions or comments about the organization and our current projects in need of financial support. There are many ways you can help rescue Greyhounds in need and prevent further abuses against these gentle dogs. AEGA channels funds and needed supplies to Greyhound welfare organizations in many international hot spots of Greyhound abuse. AEGA accomplishes its mission through: active and on-going; monitoring of existing and proposed racing venues; liaising with racing industry and adoption groups; providing an effective source of collection and dissemination of accurate information; and education to the public. As a U.S. charity, AEGA is an umbrella organization that makes it possible for Americans to make tax deductible donations in the U.S. and abroad. Use Paypal to make a donation that makes a difference today.